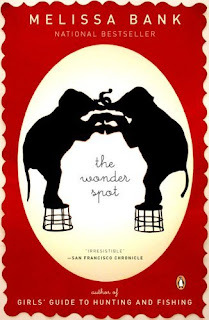 As the book begins, readers will wonder if this is any typical run-of-the-mill coming-of-age novel, and it may seem that way at first; however The Wonder Spot is so smart and witty that we grow to laugh out loud with Sophie's inner monologue as the book continues. The Wonder Spot also reads like the memoir of a comedian! I had to keep reminding myself the book was fiction, and not a biography. I also suspect that many readers may not understand or catch on to the many pop-cultural references that were prevalent in the late 20th century, but readers who truly connect with Sophie's hilarious comments will truly love this novel. Although The Wonder Spot is a fun ride, it ends abruptly. This was my only apprehension with REALLY loving the book, otherwise, enjoy!